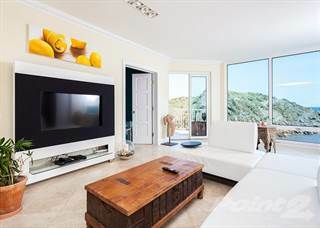 Searching homes for sale in Sint Maarten, Saint Martin has never been more convenient. 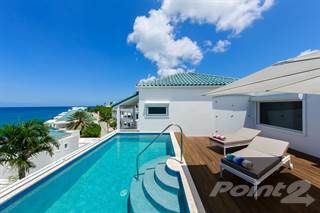 With Point2 Homes, you can easily browse through Sint Maarten, Saint Martin single family homes for sale, townhomes, condos and commercial properties, and quickly get a general perspective on the real estate market. Point2 Homes gives you far more than a simple list of houses for sale. Get instant access to loads of relevant information about Sint Maarten, Saint Martin real estate, including property descriptions, virtual tours, maps and photos. If you like a house for sale and you want to speak with a professional, simply contact the listing agent right from page of listing details. Or if you want to talk to an agent before anything else gets done, you can click the Tools tab and Find an Agent – you get a list of real estate agents in Sint Maarten, Saint Martin, all ready to give you top-notch professional advice on house prices and more detailed information about your target area. Use the map view to find homes and apartments for sale based on amenities and features in Sint Maarten, Saint Martin that you may want close by. You can select your preferred area or neighbourhood by using the radius or polygon tools in the map menu. Filter among the 270 listings in Sint Maarten, Saint Martin, based on real estate price drops in the past six months, so you’ll never miss a bargain. Get new listings in your inbox, daily or every week, based on your preferences, by simply saving your searches. All it takes is two clicks. Located in the northeast Caribbean Sea, Saint Martin is an island that is home to over 77,000 people, and covers 87 square kilometres near other islands such as Anguilla, Gustavia, Basseterre, and the U.S. and British Virgin Islands. The island is divided between the French Republic and the Kingdom of the Netherlands, making it the world’s smallest inhabited island divided between two countries. The French portion of the island in the north is known as Saint-Martin, while the Dutch portion in the south is known as Sint Maarten. Forests, mountainous areas, valleys, and beaches make up the majority of the island, and there are no rivers located here. Saint Martin’s dry season normally ranges from around January to April, and the rainy monsoon season takes place from around August to December. English is commonly spoken on both sides of the island, although other languages used here include French, Dutch, Spanish, Papiamento, and an English-based creole local dialect. Tourism is popular here, and the island is also home to many ex-pats from around the world. The most common ways to travel to the island are by flying into the Princess Juliana International Airport or by taking a cruise ship. Many people now travel around the island via public transportation, due to increasing traffic jams in larger communities. Loterie Farm is a nature reserve and sanctuary in the French section of the island. The farm offers opportunities for guided or self-guided hiking, wildlife viewing, birdwatching, and zip lining. Mango and mahogany forests are home to a variety of animals and birds. Activities at the farm are suitable for people of all ages. Fort Louis, also in the French section of the island, was built in 1789 to defend the harbour warehouses, where goods such as salt, coffee, sugar cane, and rum were kept. In the 19th century, it served as a battle site between the French and the English. Casinos are a popular draw in the Dutch section of the island, with examples being Casino Royale, Princess Casino, Paradise Casino, Hollywood Casino, and Coliseum Casino. The St. Maarten Zoo, also in the Dutch section of the island, is home to hundreds of mammals, birds, and reptiles, as well as a playground, a tropical garden, and a gift shop. Saint Martin uses two currencies: the Euro (EUR) in the French portion of the island, and the Netherlands Antillean guilder (ANG) in the Dutch portion of the island, although the U.S. dollar is also accepted in both parts of the island. The majority of Saint Martin’s economy is based on tourism, with accommodations, tour outfitters, restaurants, shops, and service providers catering to this industry. Manufacturing is another important industry on the island, and there are some agricultural operations here as well, with sugar and salt being the island’s main exports to countries such as China, the U.S., and Japan. Saint Martin relies heavily on imports from other nations, such as China, Japan, the U.S., and Saudi Arabia, for things like energy resources, food, and manufactured goods. Some of the ex-pats on the island are retired, while others work for or own businesses locally or remotely. Business operations on the island face very little regulation, making entrepreneurship attractive to locals and ex-pats. Saint Martin’s unemployment rate is around 12%, with higher unemployment on the French side of the island than on the Dutch side. Saint Martin’s northern section (the French section, or Saint-Martin) is made up of a number of communities, including Sandy Ground, Marigot, Rambaud, Grand Case, Cul-de-Sac, and Anse Marcel. Saint-Martin includes residential areas, accommodations, tourist attractions, beaches, lakes and ponds, tour outfitters, a small airport, service providers, restaurants and bars, a cultural centre, spas, a ferry route, stadiums, shops, a tourist information centre, parks, a theatre, a marina, a medical centre, pharmacies, a town hall, historic sites, a shopping mall, post offices, schools, an art gallery, a museum, recreation centres, churches, a hospital, and a police station. The island’s Dutch side in the south, Sint Maarten, tends to be more populated and has a bustling atmosphere. Communities in this section include Simpson Bay, Cole Bay, Philipsburg, St. Peters, Guana Bay, Pelican Key, Belair, and Maho. Sint Maarten is made up of residential areas, an airport, beach areas, schools, accommodations, restaurants and bars, casinos, spas, a golf course, university and college campuses, pharmacies, shops, service providers, lakes and ponds, parks, churches, community centres, tourist attractions, tour outfitters, a coast guard station, performing arts theatres, marinas, a power plant, a medical centre, a sports complex, historic sites, government offices, shopping malls, museums, ferry routes, community centres, and a zoo. The majority of Saint Martin’s available real estate is located along the southern coast of the island. Condos are common here and range in price from around $100,000 into the millions of dollars. 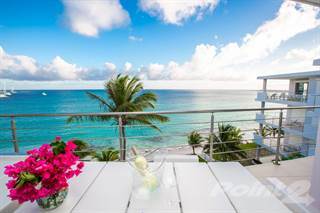 Condo units often have private balconies and access to shared pool areas, and many provide stunning views of the ocean. Lower-priced units normally have one bedroom and one bathroom, while higher-priced units offer multiple bedrooms and bathrooms. Single-family homes are normally more expensive than condos, with prices ranging from around $300,000 and running into the millions. Single-family houses often come with private yards, as well as pools and landscaped gardens, and are usually located in gated communities to provide extra security. Investment properties in Saint Martin include single condo units or houses, as well as entire multi-unit buildings, which are rented out to tourists. Commercial property can be found in some of the larger communities, with price ranges depending on location and size, while vacant land can be difficult to find in many areas. Schooling options can be found throughout the island and include Caribbean International Academy, Sr. Borgia Elementary School, Hillside Christian Elementary School, Asha Stevens Elementary School, Learning Unlimited Preparatory School, St. Maarten Academy P.S.V.E., St. Joseph Primary School, Saint Dominic High School, Collège-lycée privé René Descartes, and Ecole élémentaire Elie Gibs. The island’s post-secondary options include the University of St. Maarten, American University of the Caribbean School of Medicine, College Souliga, Milton Peters College, American University of Integrative Sciences, St. Maarten Vocational Training School, and Central Saint Martins.